This model was sold in the UK as the BEO (TR26) and is listed under that name. The nomenclature Beo610 was that used on the continent. BEO, which was produced with the numbers 610 and 611 (that means they were brought on the market in 1964 and 1965) was put into production following a request from Bang & Olufsen’s Finnish collaborator, Helvar, which was both the importer and a subcontractor. The inside of BEO was exactly like that of the Beolit 800, and at the purchase BEO was delivered with 6 D batteries. There was also the option of mains power with an integrated mains transformer for 220V AC and a removable mains lead, which plugged into the rear of the set. It was possible to buy a rabbit-ear antenna to fasten on the rear of the radio. The antenna was a standard article, not produced by B&O. The concept of a horizontal stationary transistor radio with a loudspeaker on the upper side had earlier been used by the Danish radio manufacturer Linnet & Laursen (LL), which had produced the Piccolo Box. This company had been set up by Harald Linnet, the cousin of Peter Bang, who had previously worked for Bang & Olufsen. 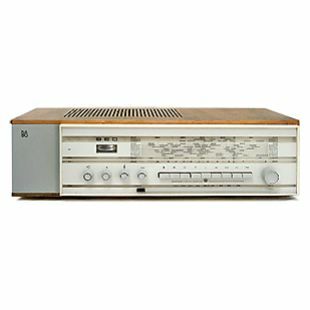 BEO was brought on the market at the same time as a radio, which became one of the bestsellers of B&O: Master 610K/Beomaster 900. Having the choice between the BEO and the “real” radio Master 610K/Beomaster 900 the customers preferred the latter, and BEO was not a success in Denmark. Mostly BEO was produced for the Finnish market. A team of developing employees at B&O designed BEO – their names however were not recorded. BEO covered FM, LW, MW, SW1 and SW2 wavebands. The inside antenna was for LW, MW and SW2. BEO had plugs for connection to tape recorder/gramophone and an extra loudspeaker. The output power was 2 Watt with AC-connection, 1 Watt with battery power. The weight was 7,2 kg including batteries.